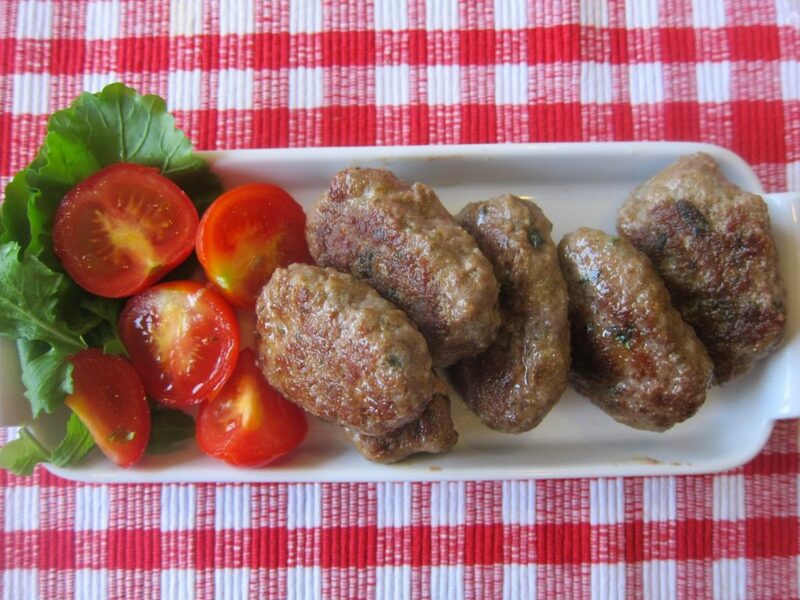 Köfte are almost synonymous with Turkey, wouldn’t you say? Think of the varieties then add all the regional specialities. Endless! For my last cooking class, there was a request for a ‘different’ köfte. I happened to see my madly popular blogger friend Oya the very next day. She is such a keen cook and hostess extraordinaire that I asked her what she suggested. All summer long she has been giving cooking classes down in Bodrum so I know she has experience of the kind of recipes that are popular with participants. 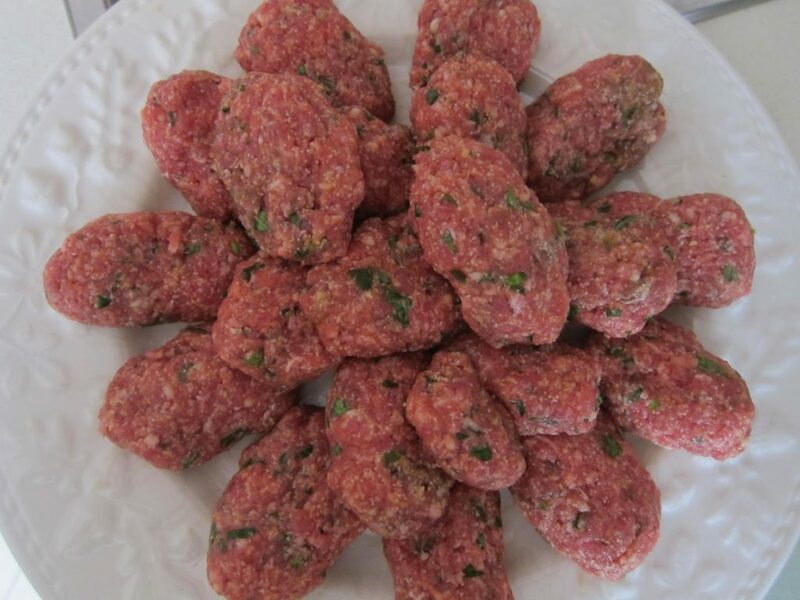 Sure enough: without hesitation, she came up with these Sultan meatballs. What makes them special? the fact that there is no bread in these little wonders. Instead, they’re held together with the semolina as well as the usual egg. Also, they include a most unusual herb, basil, along with the expected parsley. Until fairly recently, it wasn’t available and even now, will not be a herb that the average housewife will have at the top of her shopping list. Actually, we found the taste of the basil very muted to the extent of being almost not there! Next time I’ll increase the *amount and decrease the parsley. 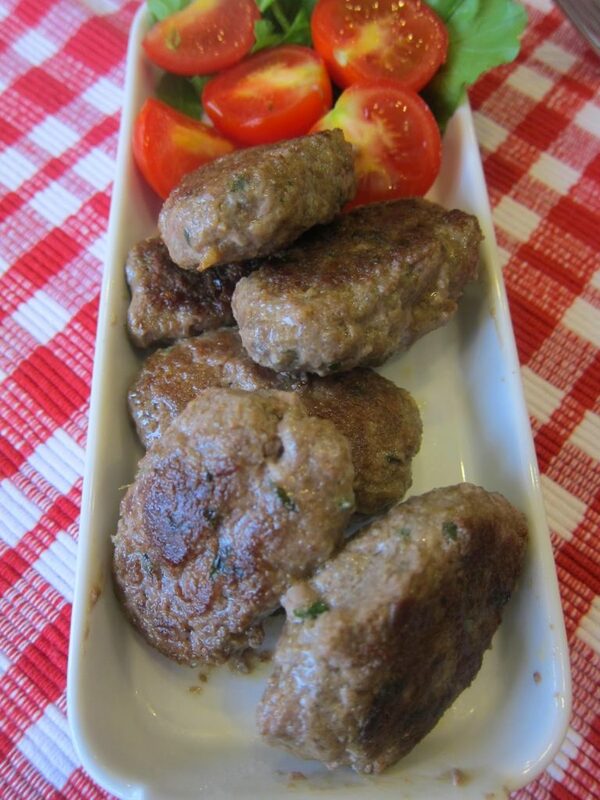 These köfte are supposed to be fried in a centimetre of oil but for me, this is just too much. I prefer barely a spoon in the pan and then cooking gently to ensure the kofte gets cooked through and through. 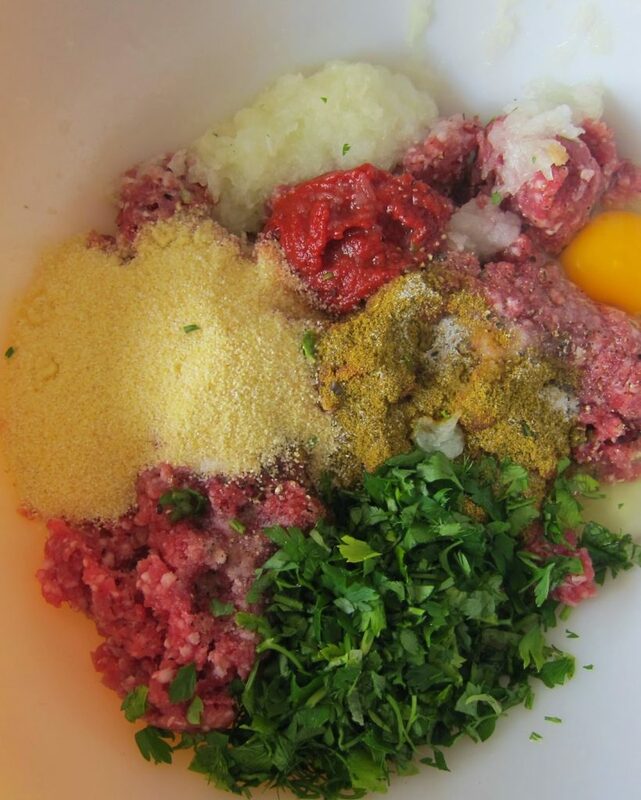 Place all the ingredients in a large bowl and mix well together with your hands. Cover with cling film and place in the fridge to ‘rest’ for 5-6 hours. NB we didn’t have so much time to spare in the cooking class and left the mixture to one side for a couple of hours only. They were fine. Remove from the fridge, wet your hands to avoid the mixture sticking to them, and shape into flattish ovals. Heat the oil in a pan and gently cook until browned. Turn once. Check to make sure the middle is cooked through! Serve hot. Why not have them for supper tonight? I used the recipe and I did, very tasty.